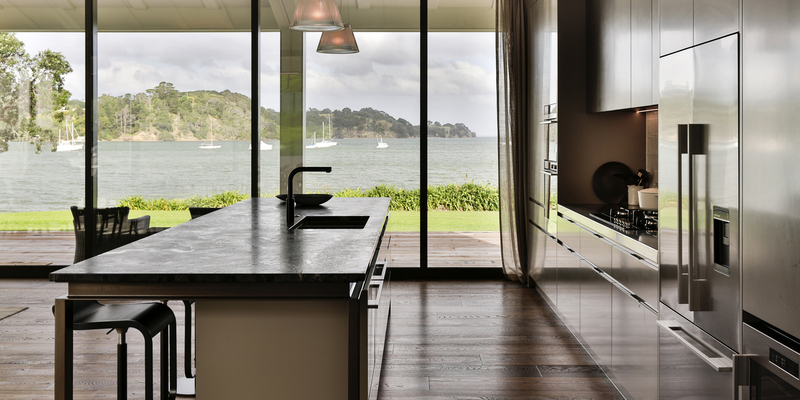 Kitchens By Design | Kitchen Design for Discerning Clients : Scott’s Landing. 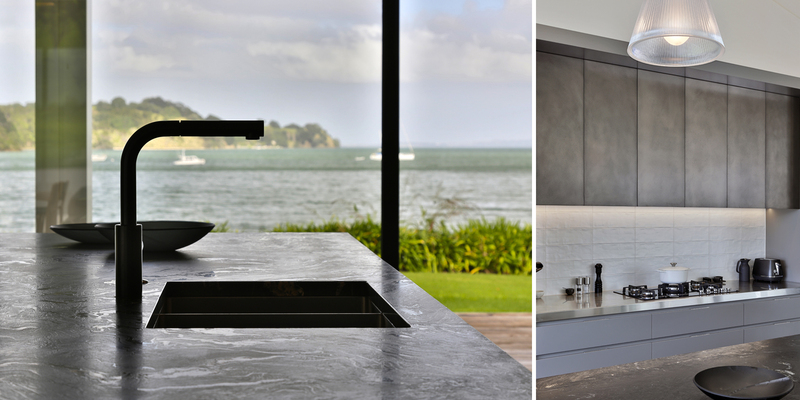 A contemporary kitchen designed to be in keeping with a new and expansive, architecturally designed coastal home, north of Auckland. From the outset, the designer was respectful of the architecture. 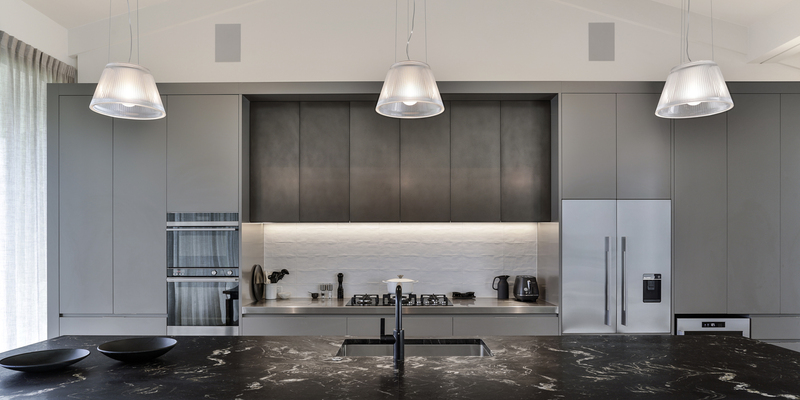 Attention was given to symmetry regarding the rhythm of the cabinetry and even the placement of the sink and tap and the cooktop, centred under the apex of the vaulted roofline. Anchoring the central cooking bench are larger elements, with the fridge on one side, the wall ovens on the other. 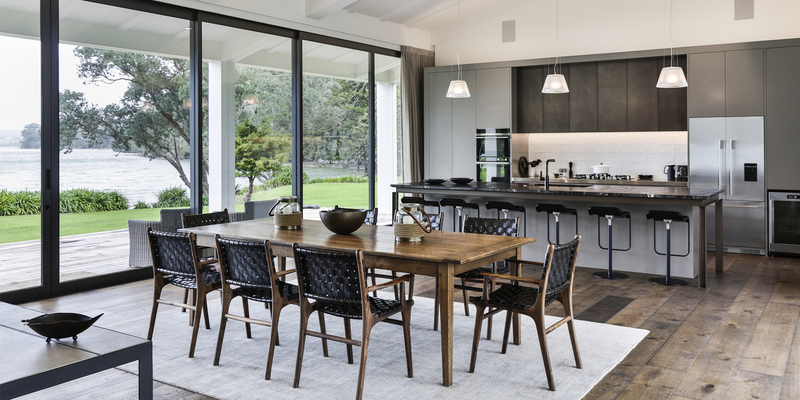 The cabinetry along the back wall was developed to meet various storage and functional requirements, including a working pantry, behind folding doors that contains open shelving, a sink, and boiling water tap. 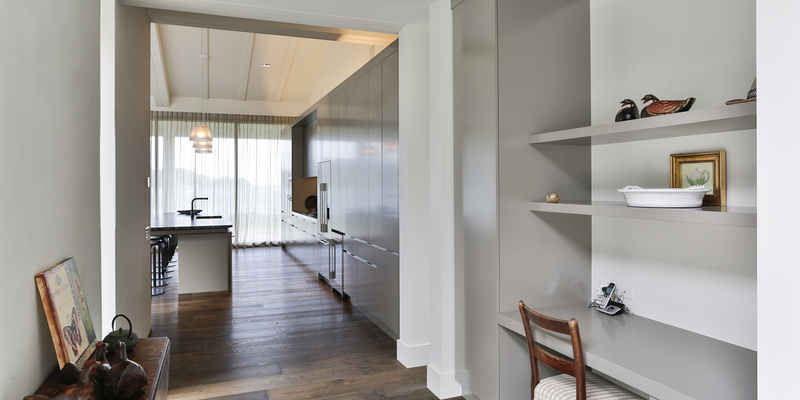 In the same bank of cabinetry is the foldaway bar, with wine cabinet below and glass storage above. 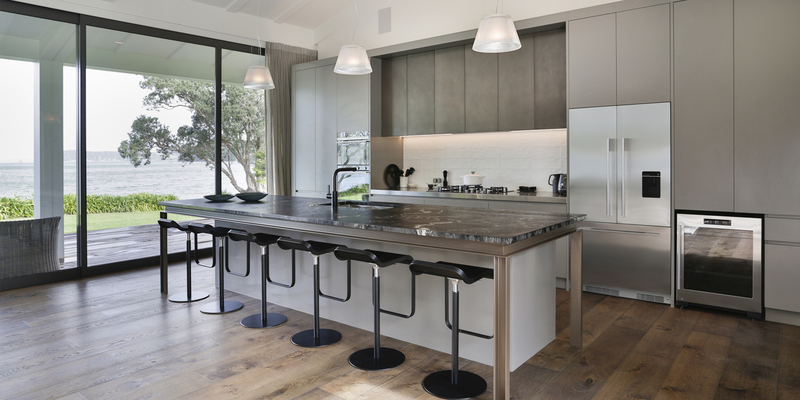 The palette of taupe grey and bronzed metallic paint finishes coupled with leathered granite surfaces are in keeping with the overall look of the room. The addition of LED cabinet lights, including up-lighting, completes the scheme. 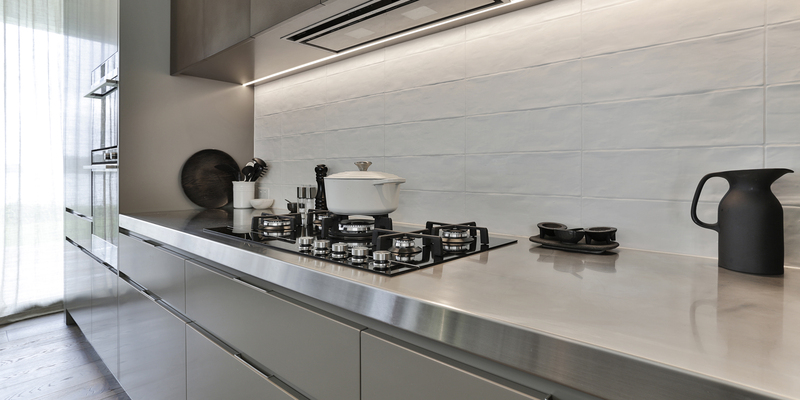 Attention was given to symmetry regarding the rhythm of the cabinetry and even the placement of the sink and tap and the cooktop.